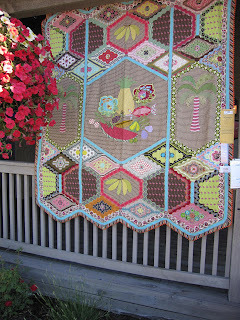 ‘Baby Hexagon’ quilt designed and made by Brigitte Giblin from Sydney Australia. 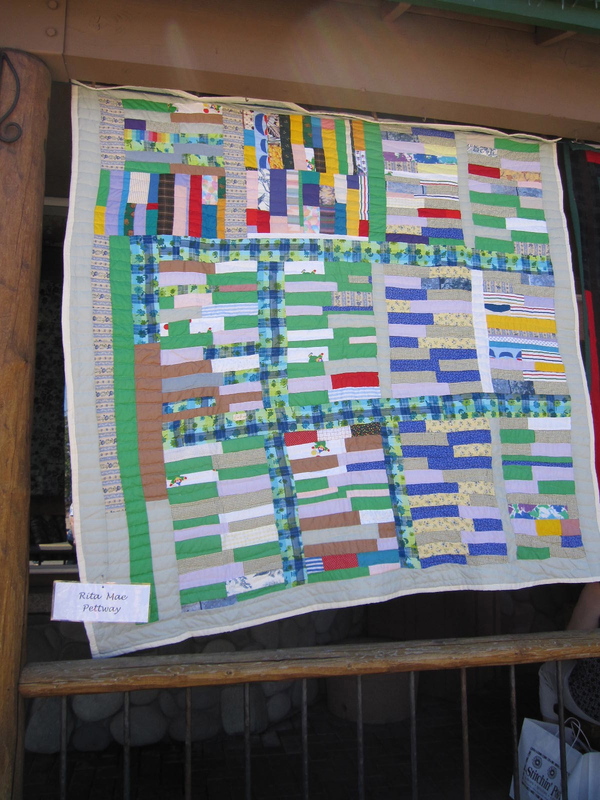 Wendy, Aimee and I rose really early to help hang the quilts. It is an amazing experience and so well organized. 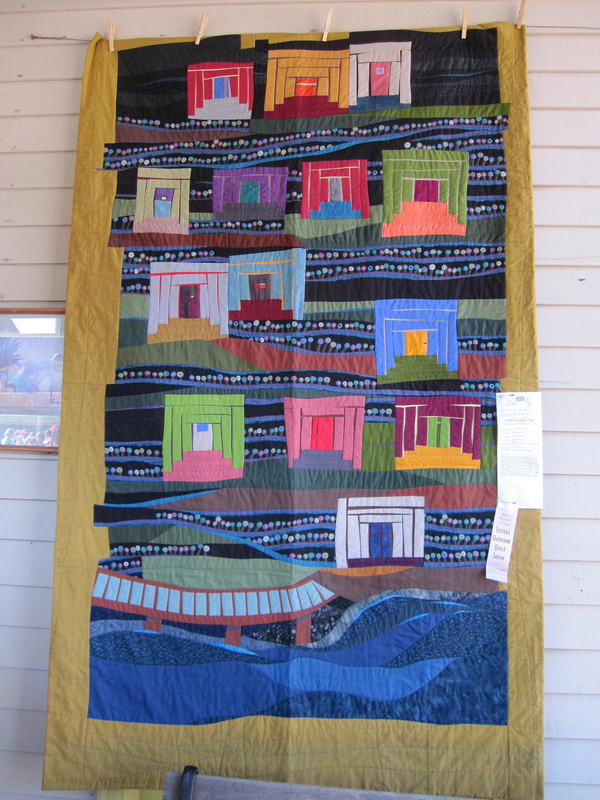 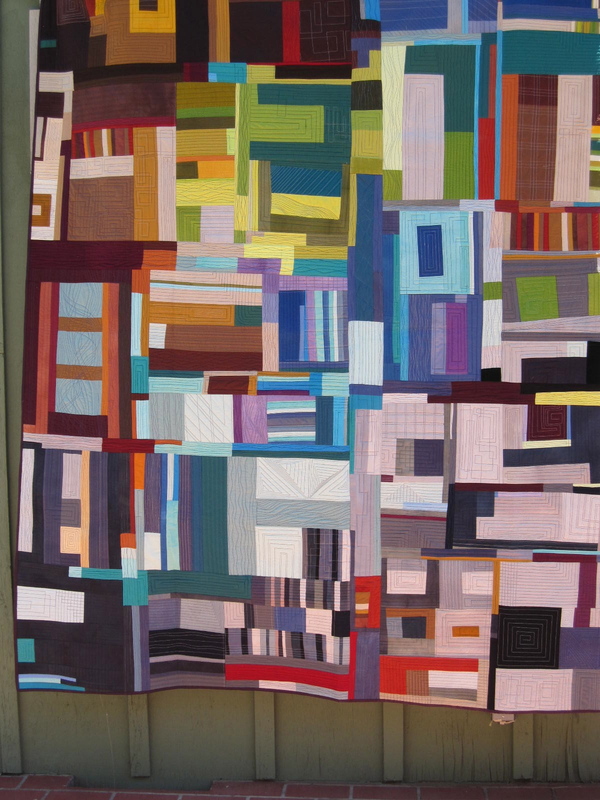 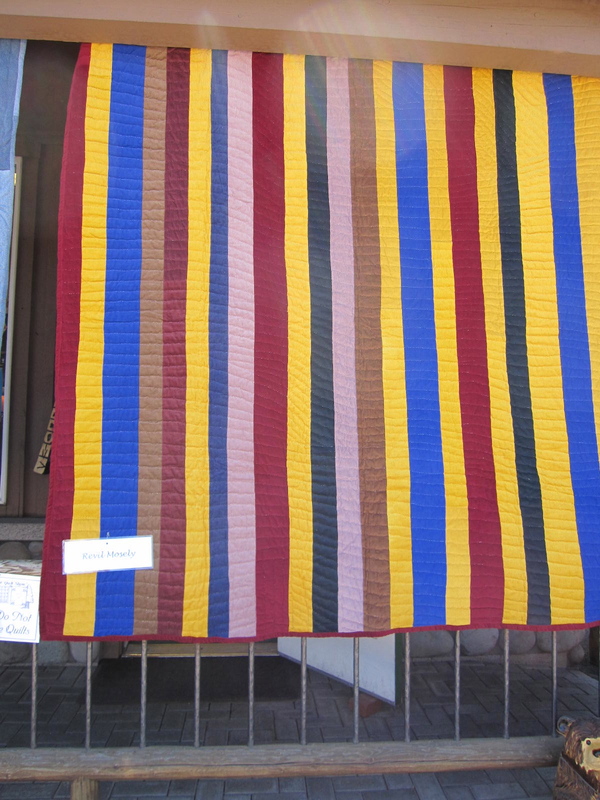 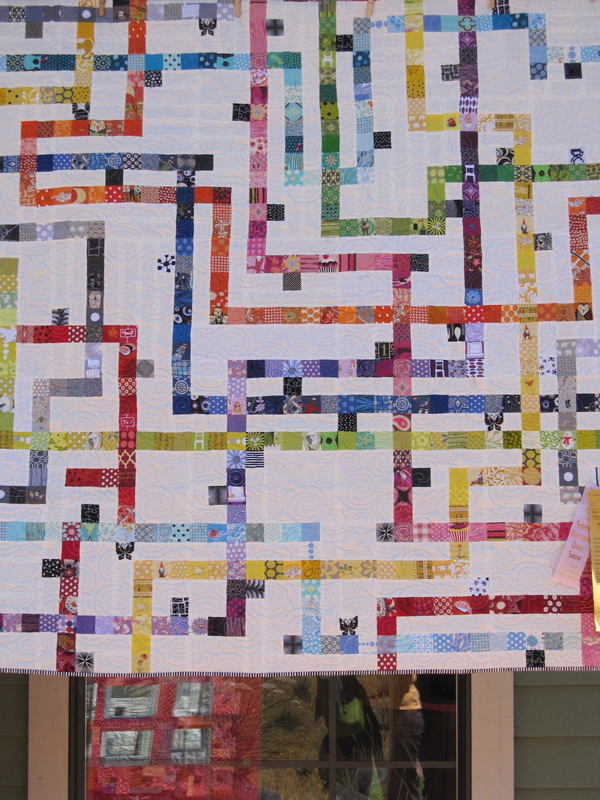 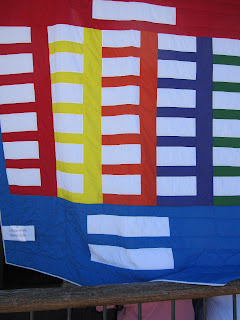 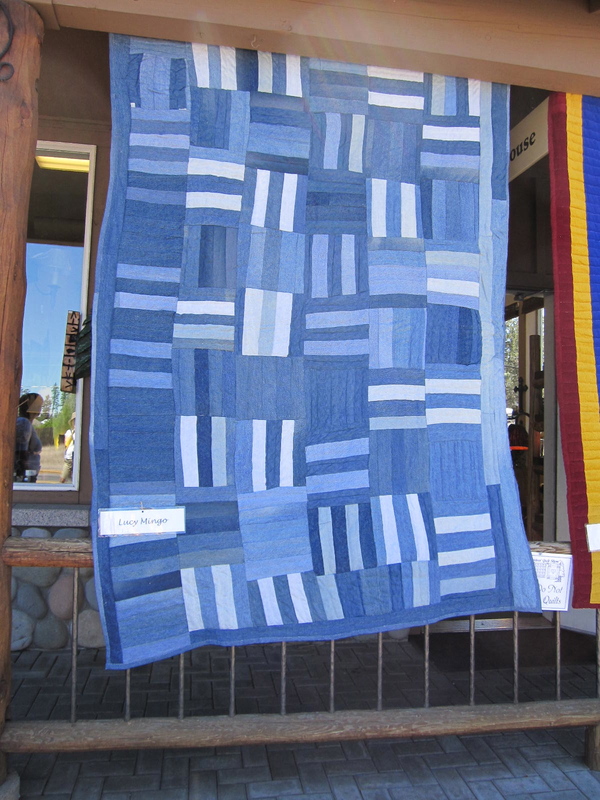 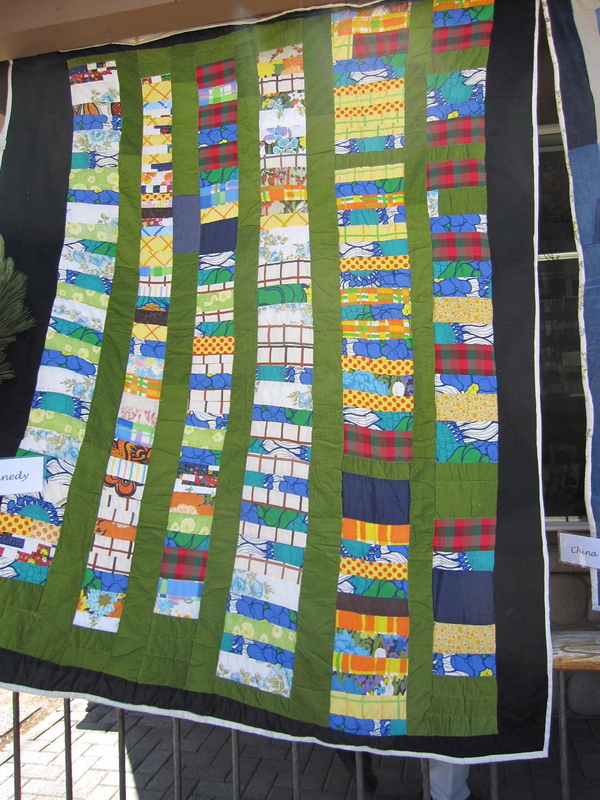 Within a couple of hours all 1200 quilts are hung on buildings and in parks through out the small town of Sisters. 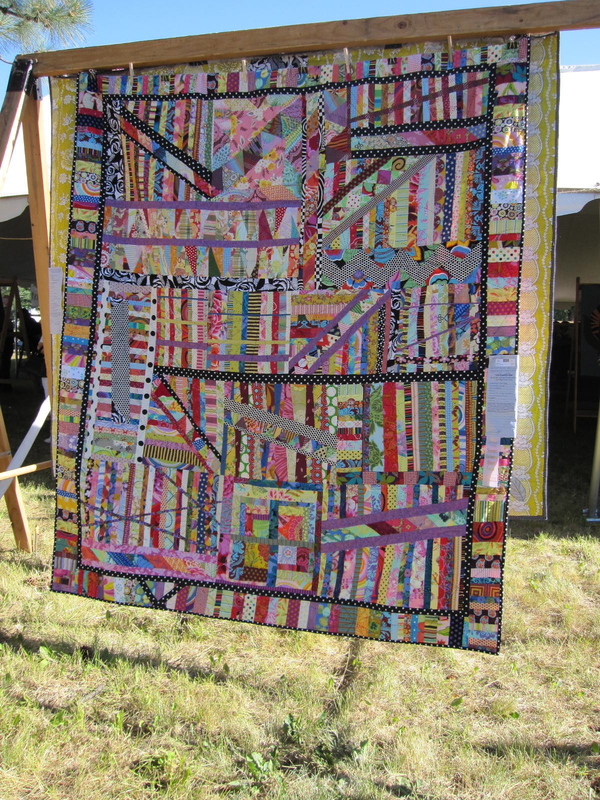 The whole town is transformed and thousands of enthusiastic quilters arrive for the day. 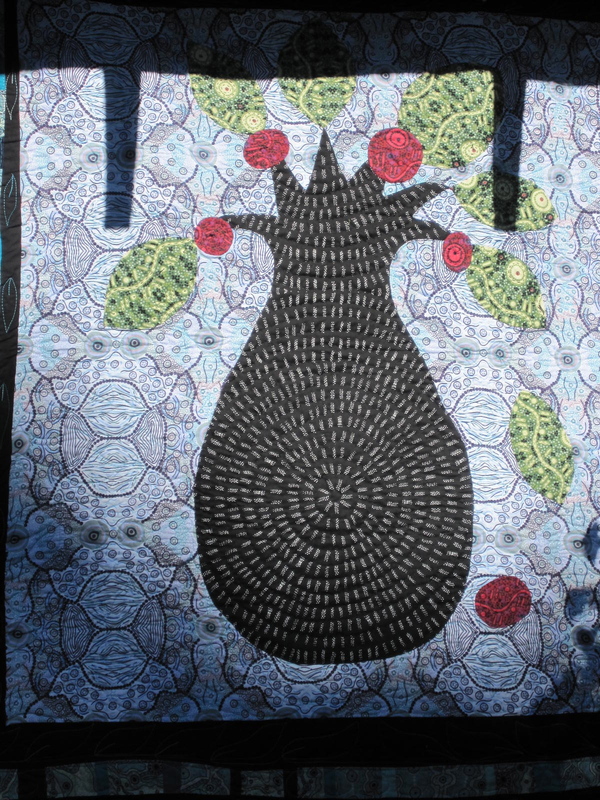 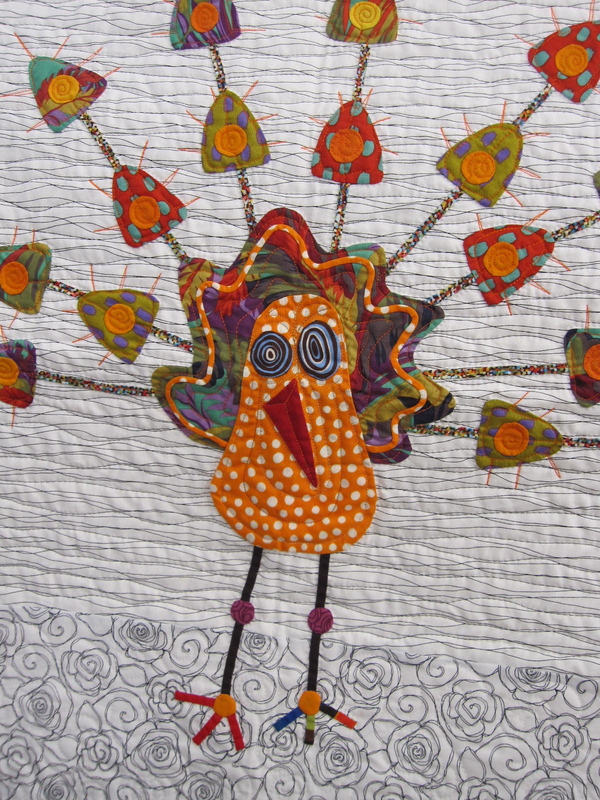 ‘Carmen Miranda’ quilt designed and made by Brigitte Giblin from Sydney Australia. 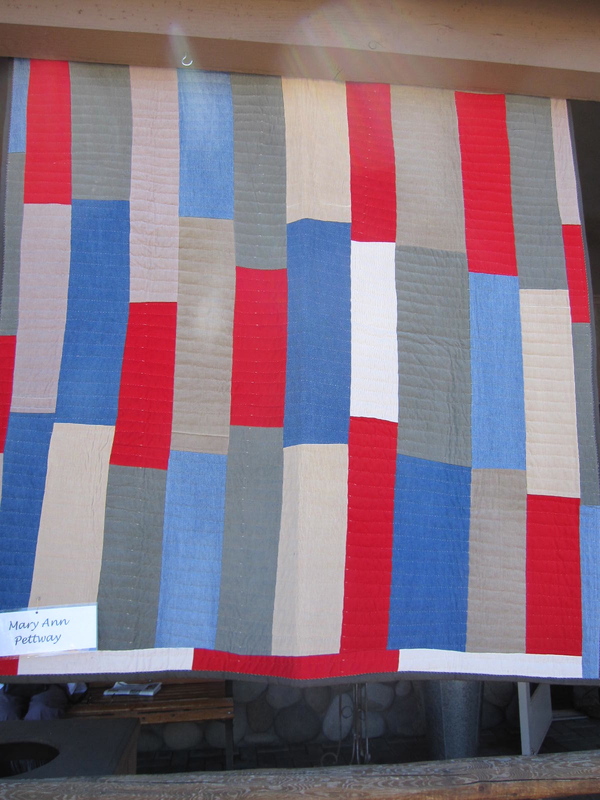 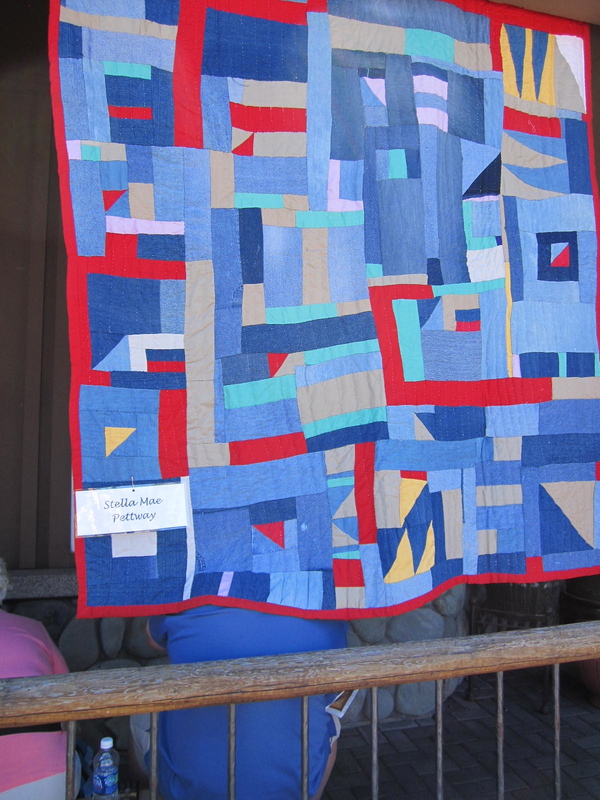 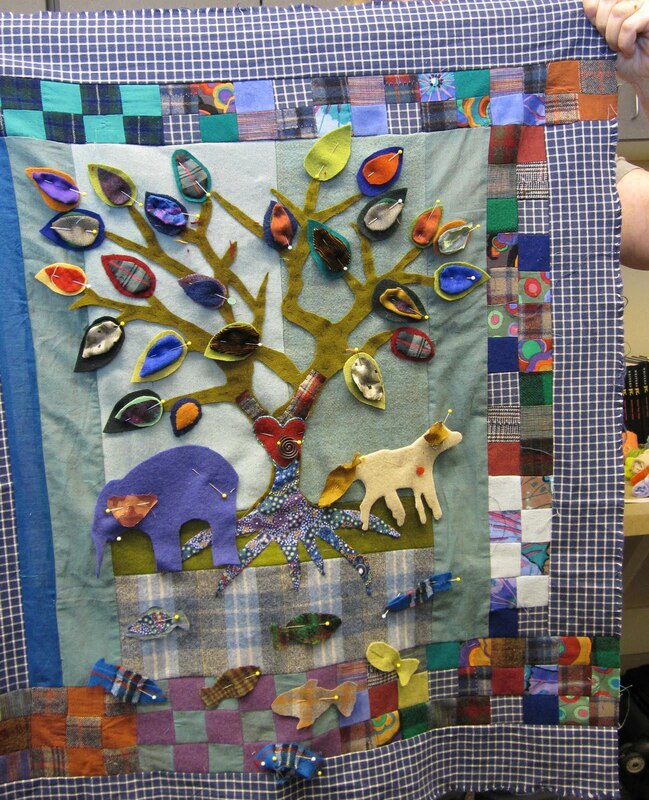 There is also a teachers tent that features quilts designed by all the teachers who taught at the show. 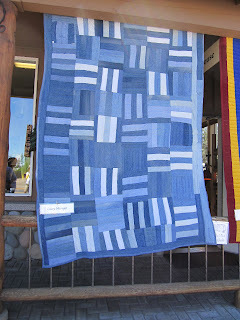 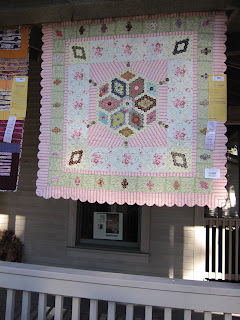 The quilt above is Kathy Doughty from Australia. 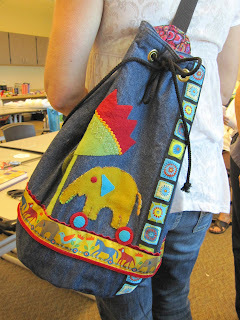 These two were designed by Tonye Phillips from Camp Sherman, OR. Pamela Goecke Saint Cloud, MN. Wendy, Aimee and I stayed for a couple of extra days. 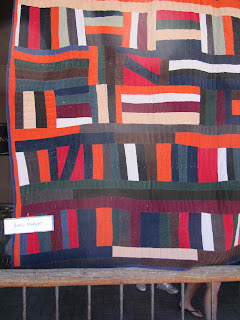 On the Sunday after the show we attended a Lecture and quilt exhibit by Jean Wells. Will post about that soon. 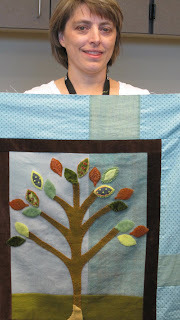 Wendy my sister and Aimee my youngest daughter joined me at Sisters this year. 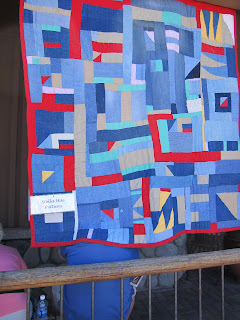 They took classes from Janet Bolton, Jean Wells and the Gees Bend ladies. We had a great time together and it was also wonderful to see friends from all over the country. 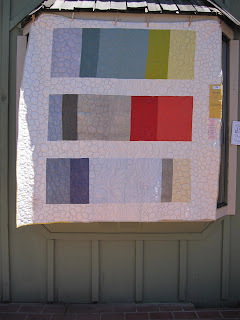 An extra bonus was that the weather was perfect! 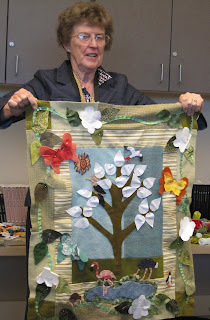 Many of my students brought finished projects to share with me. Carmen made my Duffel Bag from my ‘Urban Sacs’ book. 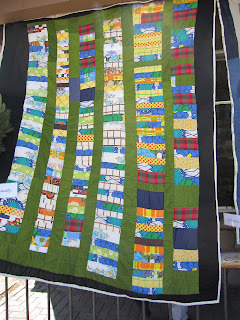 I love the way she incorporated our new ‘Animal Train’ ribbon on the base. 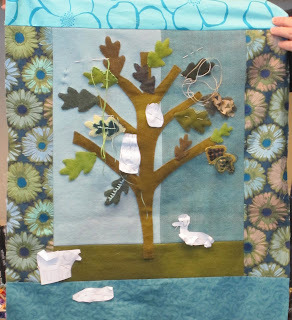 Leslie finished my ‘Robin Run the Hedge’ from the class I taught at Sisters last year. 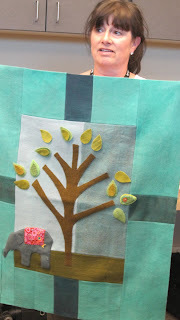 I taught a two day ‘Travel Journal’ class. 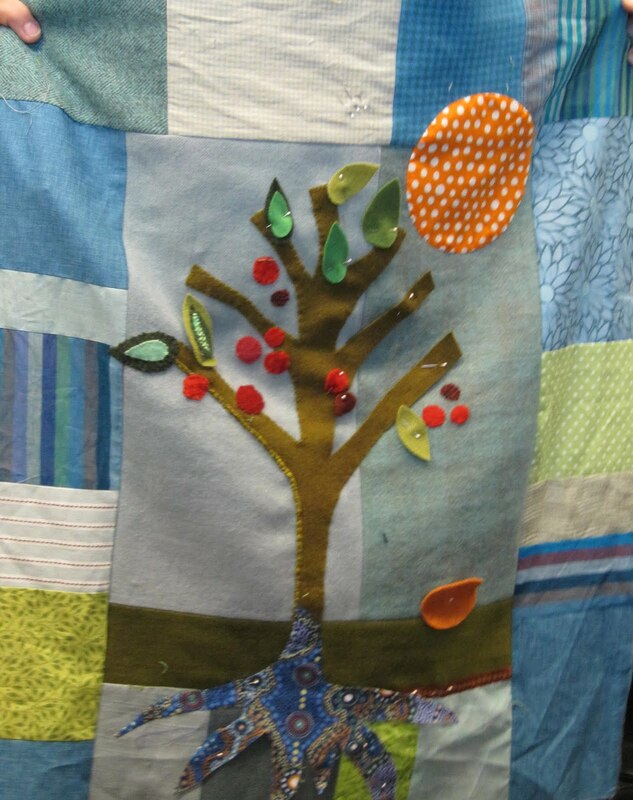 Each student incorporate a story about themselves in each piece. 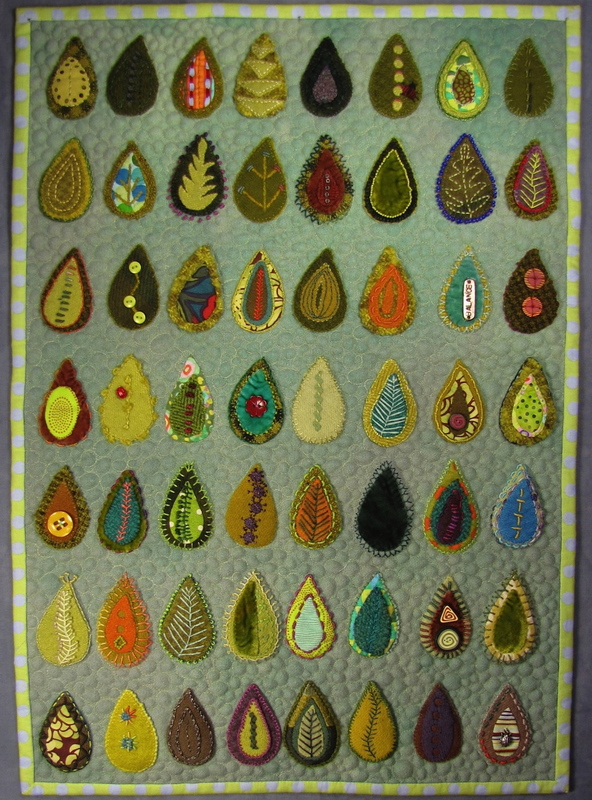 I love teaching these classes as the end results are very personal and incorporate many techniques. We had a lot of fun during the two days and I am looking forward to seeing these completed quilts in the future. 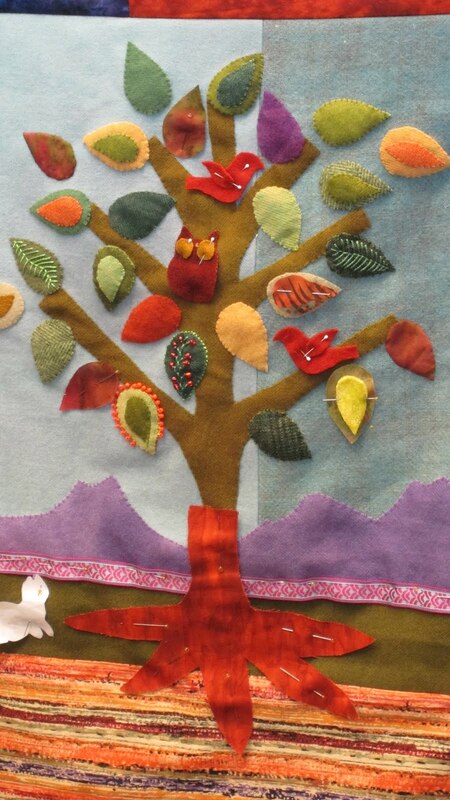 I also taught the ‘Pomegranate Table Rug’ many students incorporate fun ribbons and stitchery along with velvet, wool and cotton applique. Michelle brought her lovely Mimosa Tote and Greta Needle Roll to share with me. 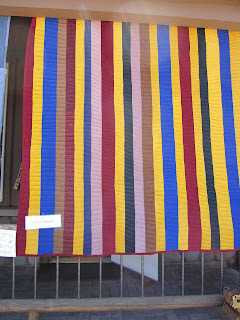 As always it is great to see variations of my patterns. Keep them coming! 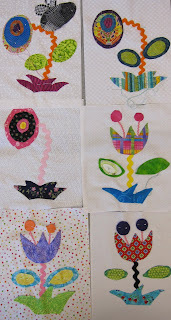 We also had fun creating blocks from my new Kids Flower Quilt. 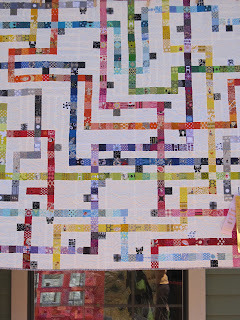 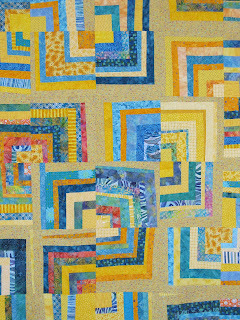 We have a little of the Japanese fabric left which I used in this quilt and have made up a few more kits. 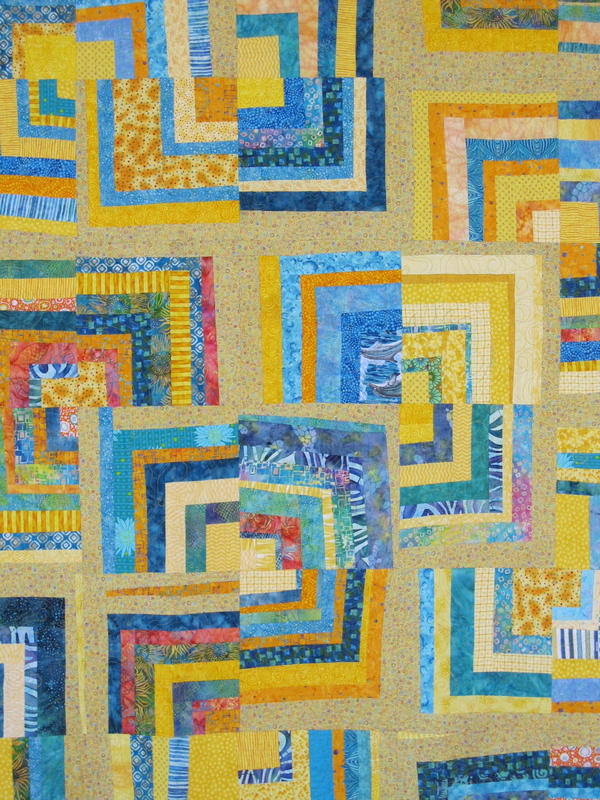 If you are interested in a kit give us a call or email us as these are limited and will not be available again as these fabrics have been discontinued. A picture of the finished quilt is on my previous blog post. 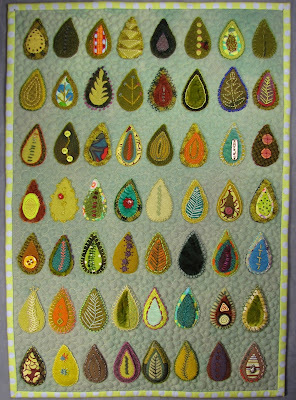 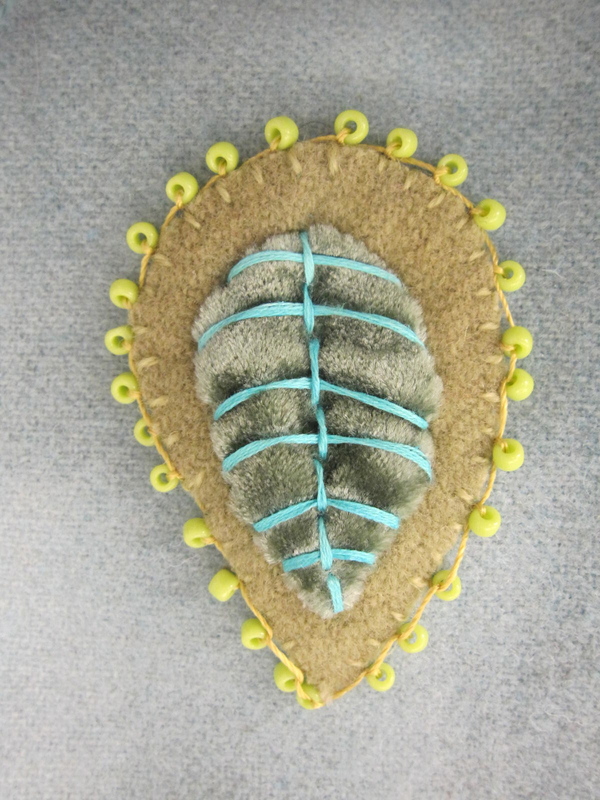 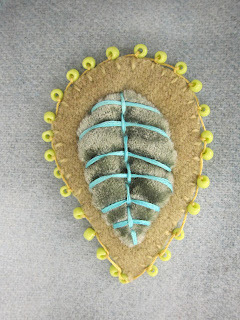 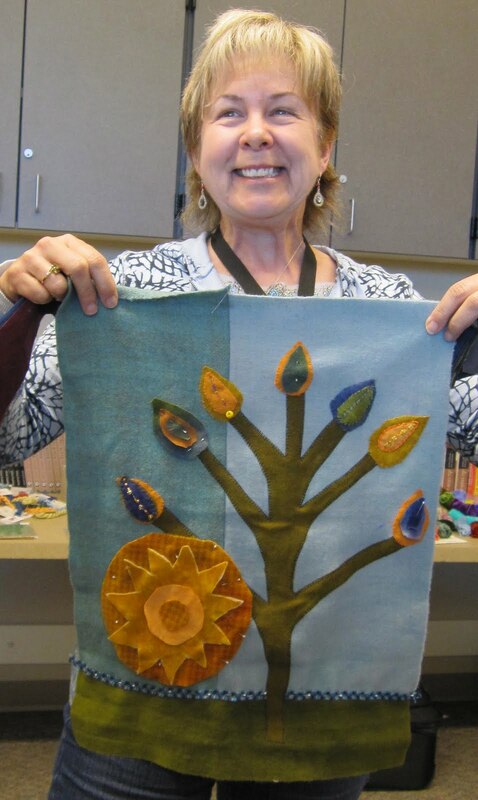 I also taught my leaf class and we all had fun creating with textural fabrics and hand dyed fibers. 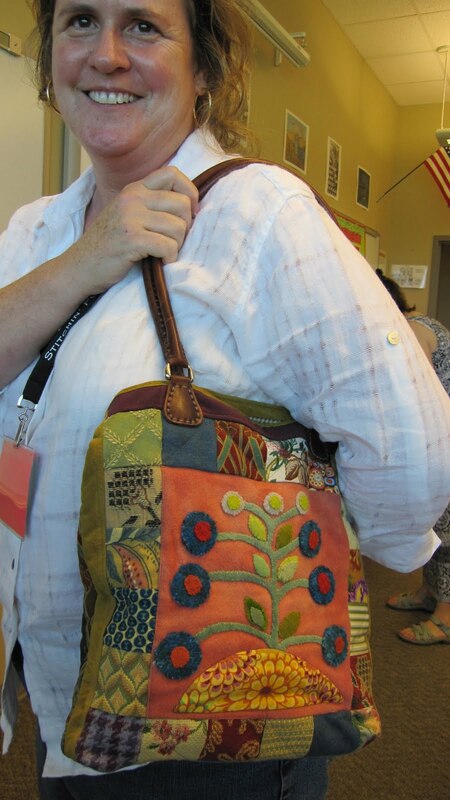 I had a great week teaching and am looking forward to returning later this year to co teach with Tonye Phillips and will also be back at Quilters Affair next year. 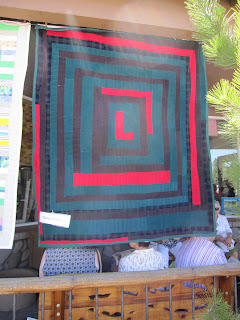 I will post pictures from the outdoor show later this week. I am on my way to the Sisters Quilt Show. 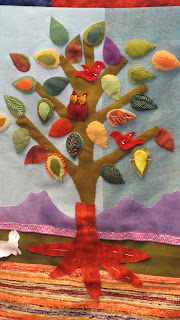 My sister Wendy and my youngest daughter Aimee will be joining me as they will be taking classes all week. 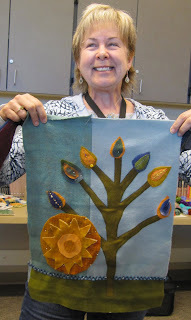 This is one of my favorite places to teach. 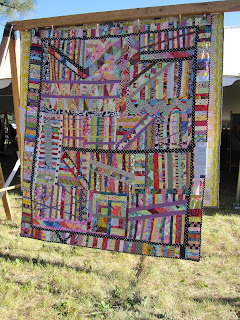 I love the area as well as the show is so well organized. 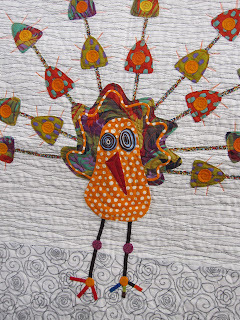 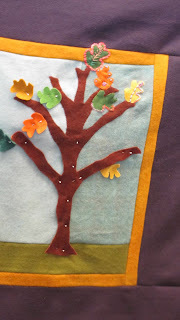 I am teaching a new children’s quilt made out of all cotton fabrics, my Leaf Sampler embellishment, The Pomegranate Table Runner from my Crimson Tweed book and a creative design class from my ‘Travel Journal’ series. 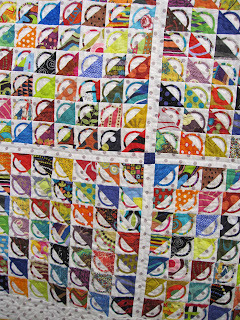 This week Kelly and I played in the wool as we choose 100 fat quarters for an order. 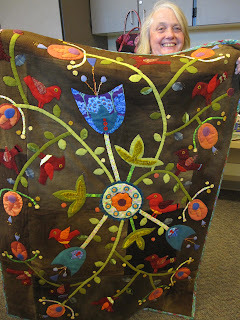 Wendy does amazing dyeing and her colors are so scrumptious that it is hard to part with many of them. 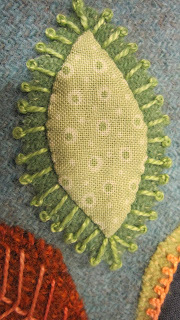 We have an ongoing joke in the office that no one wants to pick wool for an order as it is normally one for me one for the order. 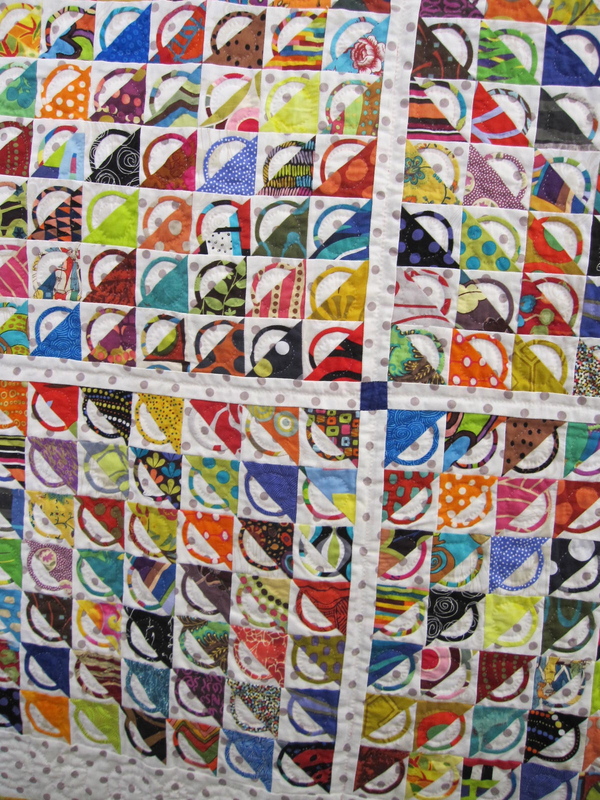 That is why we all have such large stashes! 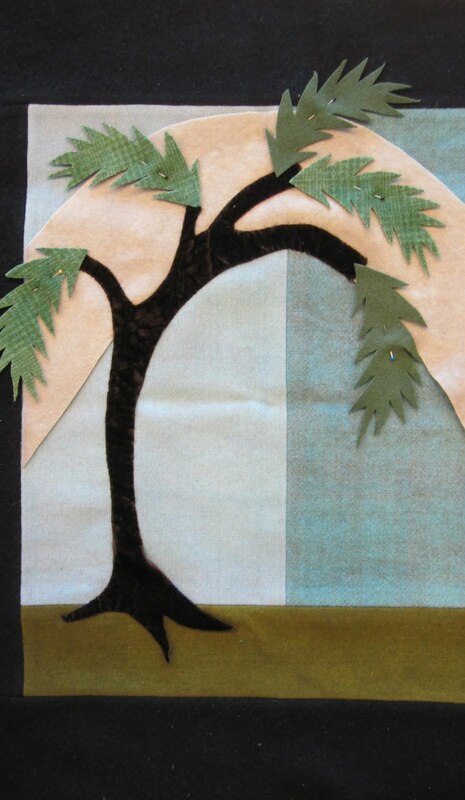 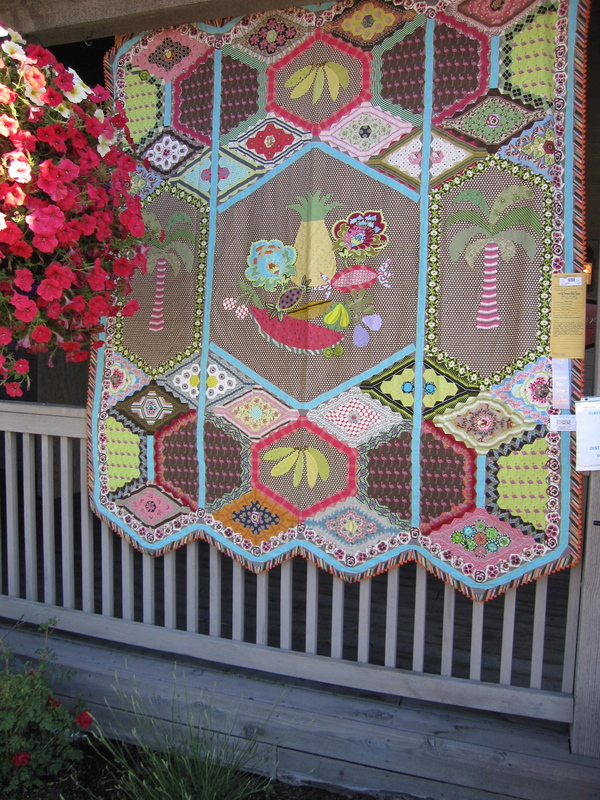 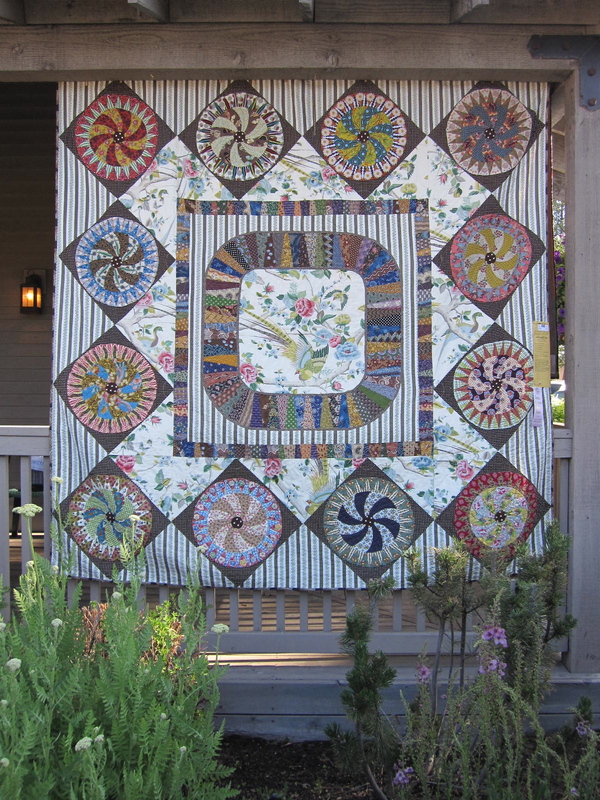 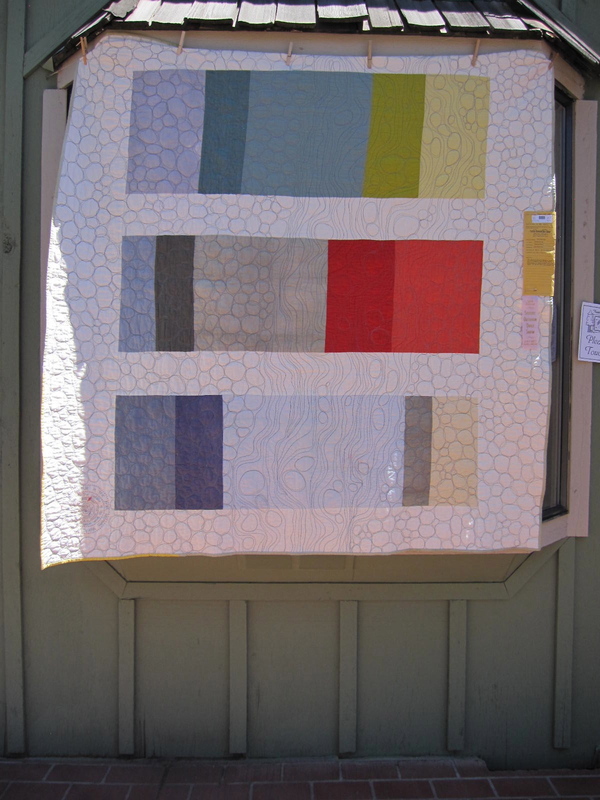 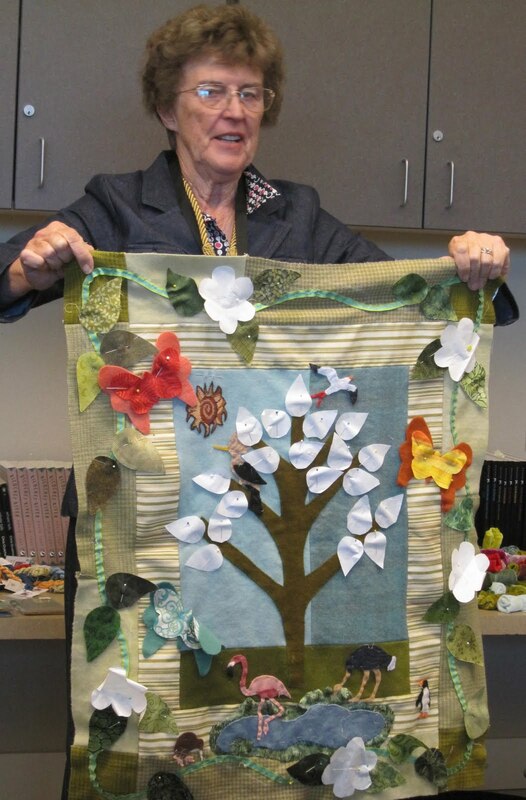 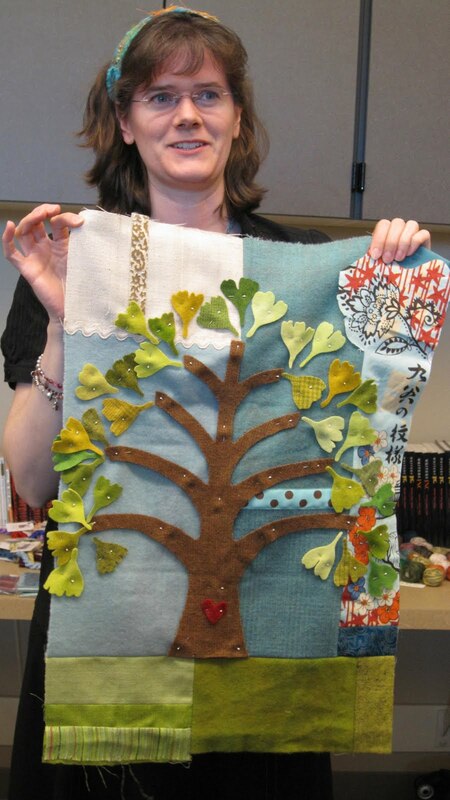 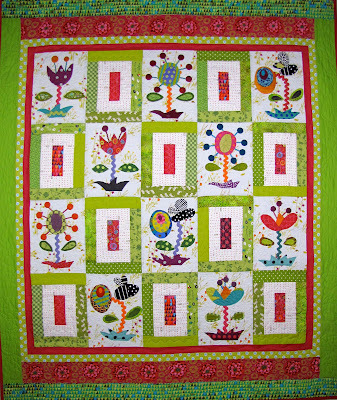 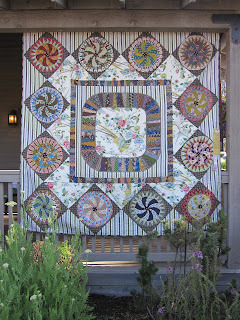 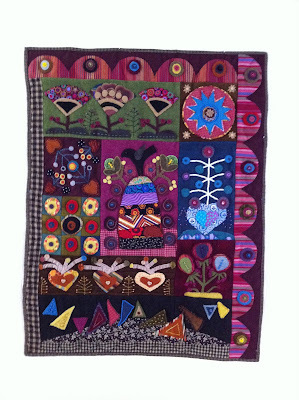 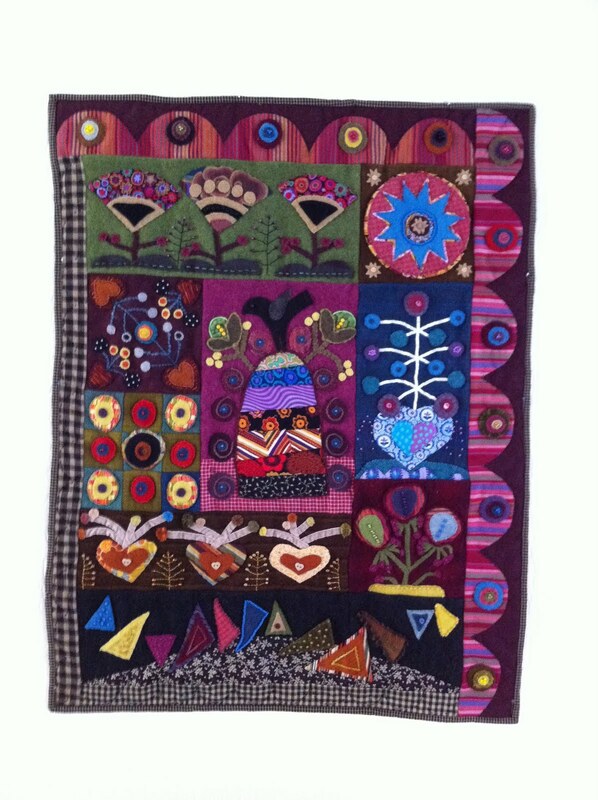 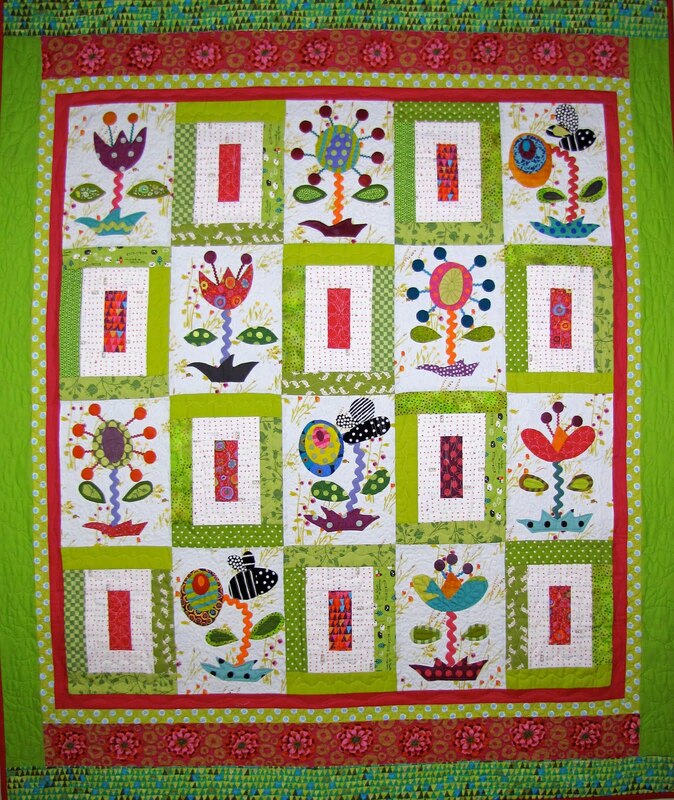 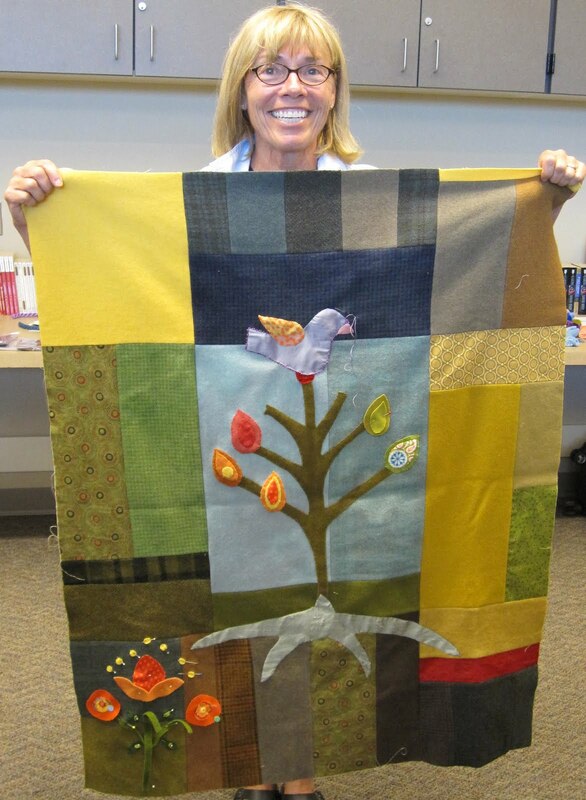 Wieke van Keulen from Holland sent me this wonderful picture of her version of my Ginger Grove Quilt. 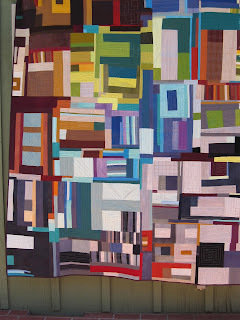 I love her colors and that she made a smaller version of my quilt. 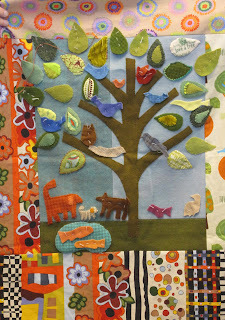 We have a few friends who have been coming to my house for our new ‘Stitch Group’. 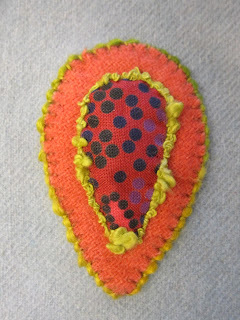 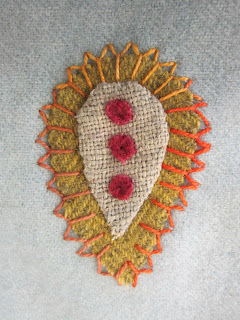 It has been fun as we have been concentrating on embroidery stitches. 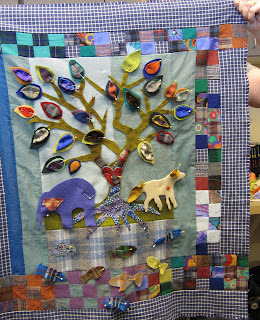 They also brought a couple of completed projects to share. 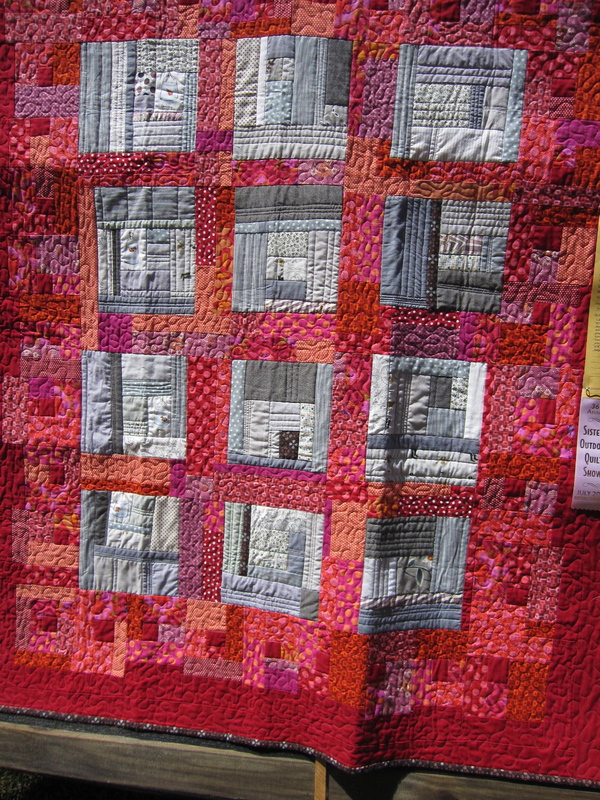 It will be a busy week in Sisters. I will post my classes as soon as I get a little free time.